My car looks brand new. Johnny and his crew arrived exactly on time and the detailing was exceptional. Neighbors came by to ask if I was satisfied and I told them that I was heading into the house to schedule Johnny's work for our second car. Johnny is professional and proud of the business that he has created. I will spread the word on how efficient, safe and easy it is to use Johnny's service. DunRite Detail did an incredible job detailing my car! It literally looks brand new and they were able to remove all of the surface scratches I wanted gone. They were on time and Johnnie is very polite and personable. It is so convenient that they came to my work for the detailing - a huge plus. I highly recommend this place and will definitely be using them again! Wonderful job!!! Highly recommend! Good communication, honest, hard working, fair price, and worth every dollar! Dunrite got back to me instantly and was out to complete the detailing job AT my apartment within a couple hours! They were spot on and detailed. Also very affordable, I was so happy with the result! I've been looking for a good detailer in my area without having to drop off my car or wait around for hours. Johnnie was so accommodating making time for my schedule. They came to my home completely equipped, including water. Not only was this super convenient but my car looked beautiful afterwards and the price was right. I am so pleased. My thanks to both of you. Johnny is fantastic! The attention to detail is priceless; and he always have a smile on his face. This guy is no joke! Overall amazing experience. If I could give 6 stars I would. I found Dun-Rite on Yelp and he responded immediately, was great to talk to, easy to schedule with, was prompt on arrival, and thorough in the detail. I will, for sure, use again and recommend to everyone I know! Thanks Johnnie!! John and his crew were able to squeeze me in on short notice. They did an outstanding job on my vehicle!! Smoker with 2 dogs, you would never know! These guys were great, extremely polite and professional. Definitely worth a try if you need top notch cleaning. You wont be disappointed!!! The responding crew was prompt, professional, and absolutely phenomenal... I will definitely be a return customer and would highly recommend Dunrite Detail! Drop that sponge and bucket and leave the washing and polishing to us. Make sure your clients drive off the lot in a clean and polished car. We'll clean your corporate cars while you're hard at work. Don't just keep on trucking. Give your big rig the attention it deserves. No Time to Wash Your Car? Is Your Dirty Car Driving You Crazy? A good detailing job can do a lot for your vehicle. Removing stains and cleaning the upholstery can take years off your interior. Cleaning and polishing your vehicle's exterior can do the same, while making it look as sharp as can be. And just wait until you see what we can do to put a shine on your tires. If it's been a while since your vehicle was thoroughly cleaned or detailed, call on DunRite Detail of Hartford, CT to give it some special attention. 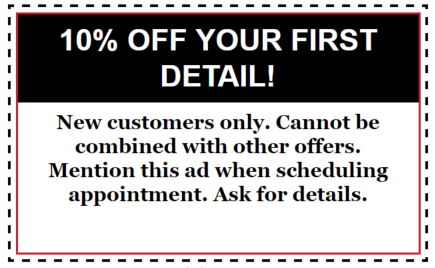 Contact us at 860-270-0084 or 413-561-0645 to learn more about our detailing services. Just dial 860-270-0084 or 413-561-0645 to schedule a free estimate for your car, truck or vehicle fleet. DunRite Detail was established in the summer of 2015 with the intention of bringing excellent auto detailing services to the Hartford, CT community. We are backed by over 20 years of experience, and we're dedicated to helping you maintain the appearance and function of your personal vehicles, rental fleet, corporate fleet and tractor trailers. Our business is 100% mobile, so when you schedule an appointment, all you have to do is relax and wait for us to arrive. If you're within 40 miles of Hartford, CT, just contact us and count on having a clean and shiny vehicle that looks like it just drove off the lot. Choose DunRite Detail to enhance your vehicle with professional detailing. DunRite Detail only uses environmentally friendly and ecologically safe chemicals and detergents for our detailing. Our mission is to make the least amount of impact on the environment as possible while keeping your car clean as a whistle. Copyright © 2019 DunRite Detail, all rights reserved.